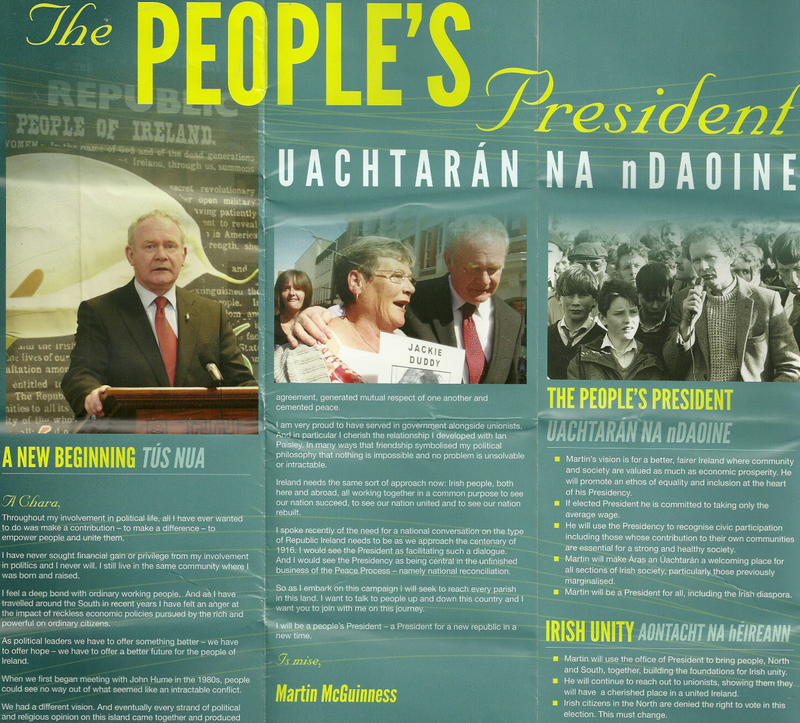 From the 2011 Presidential Election a leaflet from Sinn Fein candidate Martin McGuinness. 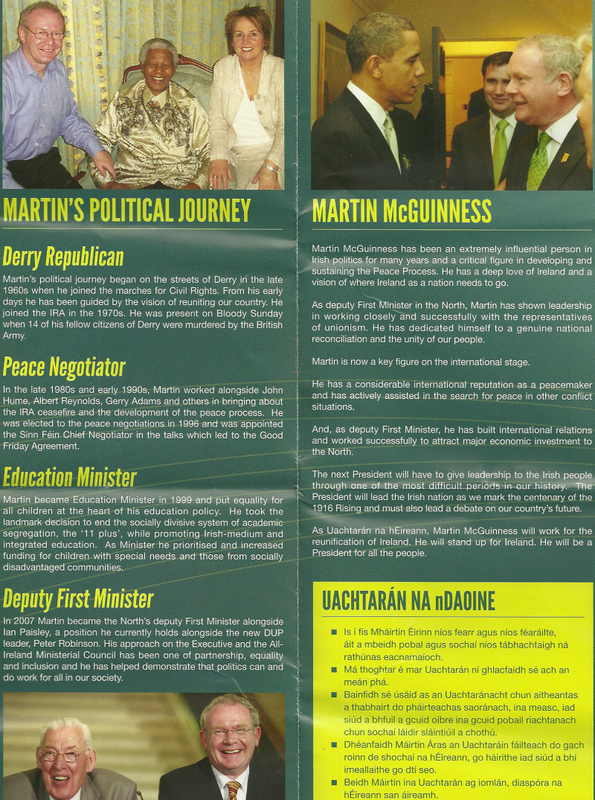 Like the leaflet from Mary Davis, McGuinness is pictured with Nelson Mandela. Like Michael D he is also a Poet.